If your like me, you find that your always looking for a translation for some obscure word. 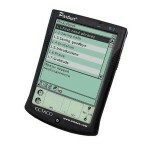 I've found that having a pocket dictionary or electronic pocket translator is so handy that it was worth the investment. I use the Etaco translator because I thought it was the easiest one to use but everyone has a price budget too. Check out my list of the top 10 electronic dictionary translators available. The ultimate travel tool for anyone serious about travelling to Thailand. 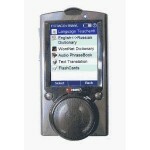 This pocket Electronic translator for Thai language is above all the rest. It's so simple to use even a 5 year old could use it. 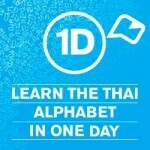 It has over 400,000 words that can be translated in english or Thai. They have this unreal feature where you can talk english into it, and it repeats what you said but in Thai language. The Phrasebook included in the software has over 14,000 common phrases so you don't have to Type it in. 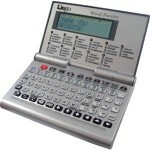 This is the ultimate in Pocket electronic translators. Now this is a serious piece of equipment. The Ectaco bidirectional Talking Electronic Translator is not for the tourist, this is for those serious about the Thai language. You can store your own dictionary in this electronic translator which is great for increasing the number of words in the electronic dictionary. It has a scanner in built into the device so that you can point it at menu's and get the translation, not just menu's but pretty much any text, you can even use it on newspapers. This is the ultimate pocket translator if I've ever seen one. What's great about this device is you can even use it as an ebook reader so you can transfer your favour ebooks on Thailand to it. This 16 language translator is something you can use for a long time. It has an audio translator as well so that you can listen to the words. Punch in the enlish language and it will say the language you translate it to. It has a large screen with large text so it's easy for anyone to see. This is a great translaor if you are travelling through South east asia as it does all the languages Thai, Vietnamese, Loas, Chinese - mandarin, Japanese, even cambodian. It's very handheld too but has a stiff price tag of around $150. 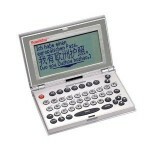 The Franklin TGA-470 12 Language Translator includes Japanese, Korean and Mandarin Chinese plus French, German, Italian, Spanish, Dutch, Russian, Polish, Portuguese and English and for a reasonable cheap price of $80 it's an inexpensive item. It can translate over 350,000 words and 12,000 travel phrases which I believe the phrases helps the most especially when travelling. Words by themselves sometimes just don't make any sense when your trying to communicate. One of the cheapest electronic pocket translators on the market, can translate words into 20 languages English, Polish, German, Czech, French, Arabic, Spanish, Hebrew, Italian, Chinese, Dutch, Japanese, Portuguese, Korean, Greek, Indonesian, Turkish, Thai, Russian and Vietnamese. 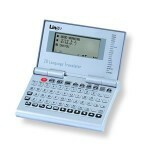 If your looking for an economic pocket translator under $50 dollars this is the best there is. If your someone that is serious about their gadgets and want the best of the best in multilingual translations then you can't look any further than the Ectaco NTL-12AS iTRAVL Alpine talking 2-way communicator. This baby has over 6,000,000 million entries and by far is the best of the best in the market. 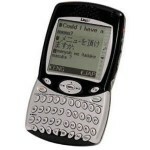 The Ectaco NTL-19WLD iTRAVL Black Talking 2-way pocket translator is the most expensive model if it's kind on the internet. This beast has the world's most sophisticated Speech Recognition System that understands and instantly translates any of the tens of thousands of pre-programmed words and phrases into the language of your choice. But at a cost of almost $800 you want to make sure you get the mileage out of this beast. 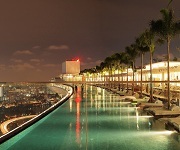 If your planning a round the world trip that maybe your taking a year out to do, then this is probably for you. This is a great English-Thai language pocket translator and at $100 dollars it's not that expensive for what you get, it can plan MP3 songs has a memo function calculator and date book with audio reminders. If your looking for a thai audio phrasebook this is what you need. I am looking for a good “talking Dictionary”, but not a single one of these listed had good reviews from customers on Amazon. Most had no reviews, and the ones that did were not great. I will keep looking…. So your wife has a “Talking Dic”….